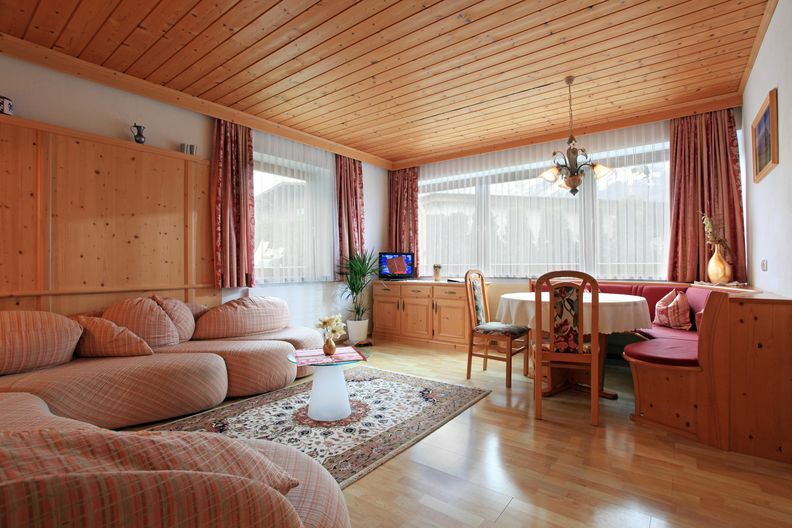 The spacious and comfortable appartement 1 is furnished in a genuine Tyrolean style. 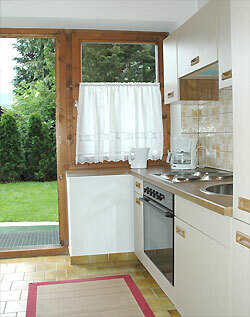 It is situated on the ground floor and has direct access to a private garden area to relax in the countryside. 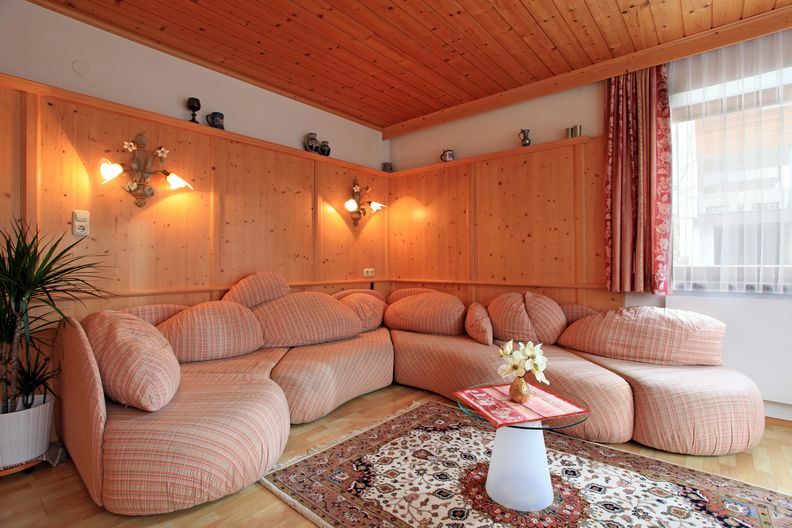 In addition to the fully equipped kitchenette (coffee maker, kettle, fridge, stove with oven) apartment 1 has a spacious living room with large comfortable seating area, satellite TV and 2 separate bedrooms (one bedroom has a double bed and one a single bed). 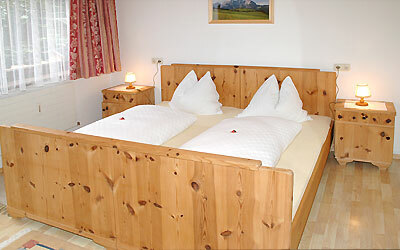 It can accommodate 3 or 4 persons (approx. 75 m2). 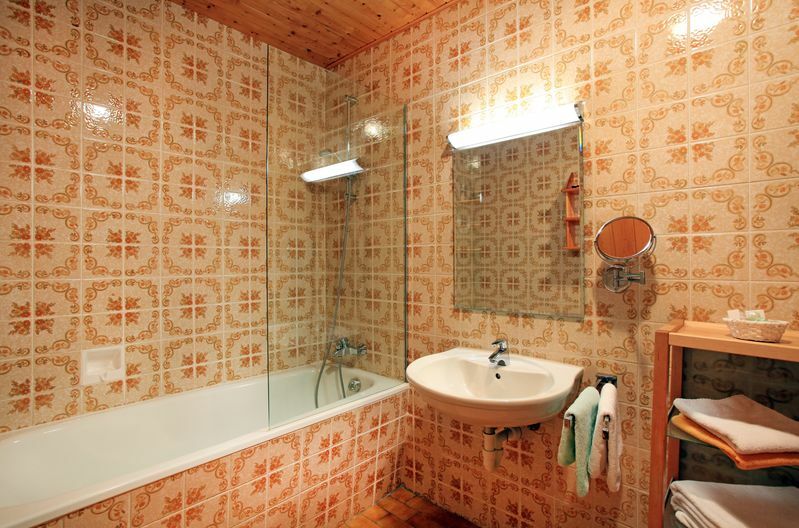 Bathroom with toilet and hairdryer. 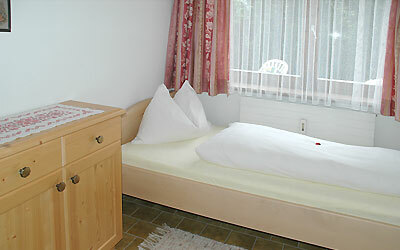 Bed linen and towels are available.